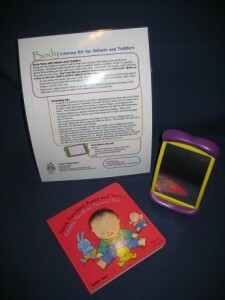 Babies are fascinated by looking at themselves in a mirror. This parent pack gives reading tips and parenting tips to promote self-awareness in babies. 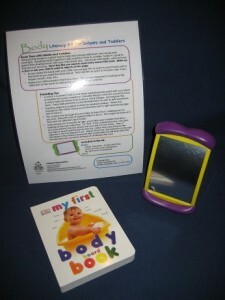 It also offers suggestions on how to use the double-sided mirror that is included in this parent pack as well as other activities to teach baby about his body. 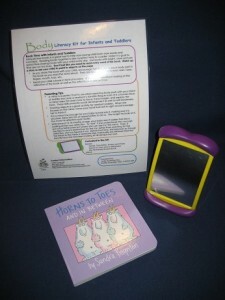 Included in parent pack, along with the mirror, is a two-sided guide and your choice of one of three board books: Head, Shoulders, Knees and Toes, $15.00; Horns to Toes and in Between, $17.00; and My First Body Board Book, $17.00, all housed in a clear, plastic, zippered pouch.